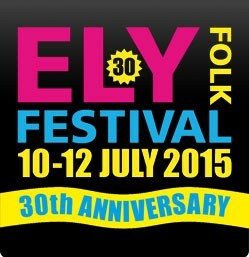 Ely Folk Festival is a bijou weekend folk and roots music festival that takes place in the wonderful cathedral city of Ely. The festival provides an opportunity to listen to some of the best folk acts around in an intimate and friendly environment. With on-site camping facilities, a real ale bar, lots of kids activities, morris dancing displays, ceilidhs, workshops and music sessions, the festival is a wonderful and great value weekend or day out.